Once upon a time; an elegant and courteous cat puppet. 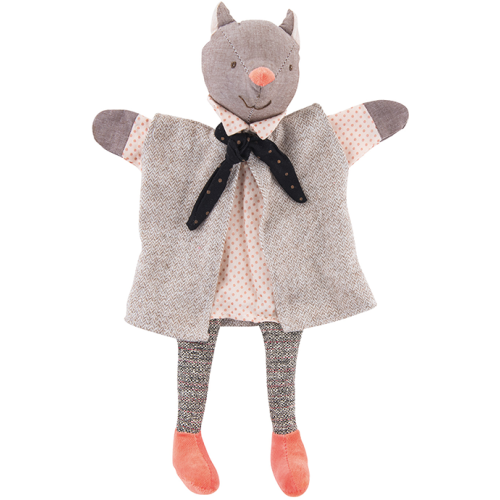 Made in chambray, wearing a shirt with pink spots, a tie, tweed trousers and coral velvet boots under his tweed cape. Ideal for developing any child's imagination.